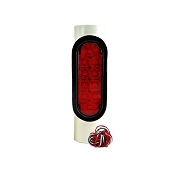 This Category contains a comprehensive selection of both LED and Incandescent Light Kits for all types of trailers. These Light kits are put together to allow you to replace your existing trailer lighting with new and top performing trailer lights. We feature LED light brands from leaders in the trailer lighting industry. 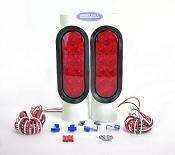 These Lights kits are ideal on both boat trailers and land trailers. Having properly working trailer lights is key to towing safely and legally. 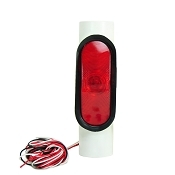 We have some of the best submersible led trailer lights on the market, available with Lifetime Warranties.